Owning a boat, be it a yacht or dinghy, is one of life’s major investments and one that doesn’t conclude after its final purchase. In addition to the cost of buying the boat, there are the additional licensing, winterizing and various upkeep costs that all add up as well. One way to reduce the never ending expense of owning your own watercraft is to go the extra mile when protecting the boat, reducing the wear and tear it receives during use, which will help minimize maintenance and repairs down the road. Docks and transporting trailers are hopefully the only solid objects a boat will ever come into contact with. They are built to withstand gentle dock contact when mooring, but over time, this can take a toll, particularly violent contact due to too much speed or choppy water. A very useful nautical material, foam can be used to reduce this damage as boat dock fenders. It is even used by some as flotation for docks themselves. To prevent unnecessary damage to your boat, as well as to the dock, The Foam Factory stocks an inventory of boat foam materials suited for use as boat dock bumpers. To tailor dock protection to your individual nautical needs, cross-linked polyethylene (XLPE) and standard polyethylene closed-cell foams are two functional materials available in varying thicknesses, densities and forms. These shock absorbing foam products can evenly distribute the impact of a vessel against the dock, compress, and still return to form after the boat moves away. Do-it-yourself-minded individuals have utilized foam materials in dock protection for years, often slicing and dicing round and flexible pool noodles to outfit their dock’s problem areas. Pilings can be wrapped at a dock’s entrance and edges can be covered as well to protect the hull against a hard metal, wood or plastic surface. Padding docks in areas with changing tides is particularly important, as a vessel sitting high in the water may be protected, but as the water level lowers, a different, unprotected area of the boat may be exposed to possible damage. The Foam Factory only carries nontoxic XLPE and polyethylene, so there is no worry of dock foam polluting the water either. Sheets of XLPE and Polyethylene are available in multiple thicknesses to add the right amount of dock protection without having to overspend on materials. Taking a DIY approach to dock protection makes these materials even more economical, by eliminating professional installation costs. XLPE features a very fine-celled structure and a smooth texture, combined with superior chemical and physical properties to excel as impact absorbing bumper foam cushions. It can be ordered in seven vibrant colors and also has antimicrobial characteristics, vital for use in a marine environment where moisture is always present. Sheets of this material can be cut at home easily, or The Foam Factory can use their computer controlled cutting machinery to manufacture custom sizes and angles for difficult-to-outfit docks. These materials can be mounted with waterproof adhesive, which can also be used to bond additional layers of foam together for increased thickness and extra protection. Sheets can also be wrapped around the entire edge of the dock, using bolts and washers to secure it to the top and underside of the dock, for an edge surface that is totally enveloped in foam. Sheets of polyethylene can be utilized as a boat dock bumper in the same way, with the added versatility of being available in multiple densities ranging up to 9 pounds. Incredibly moisture resistant, these sheets, as thin as ¼ of an inch, can be used as piling wraps or pier fenders, both above and below the water line to protect against tide changes, wakes and choppy water. 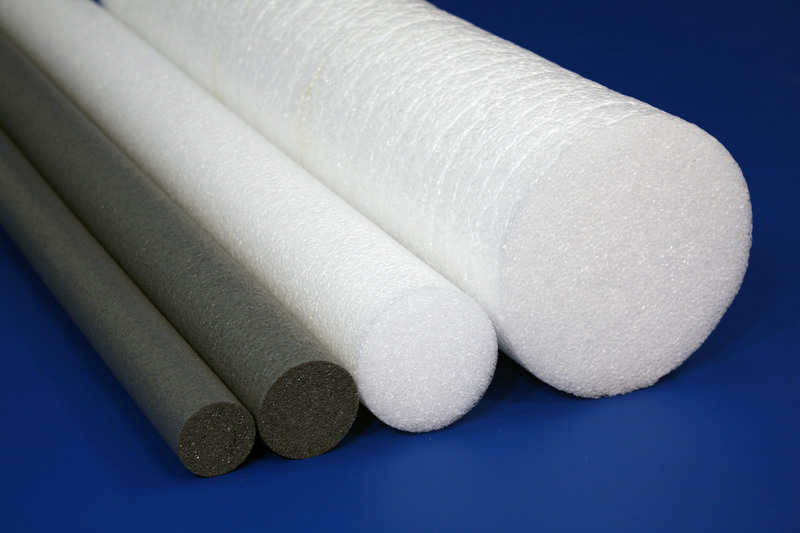 Besides sheets, polyethylene is also available in cylinders like the aforementioned foam noodle, perfect for rounded, protruding dock bumpers in tight areas. With diameters up to 6 inches and lengths up to 70, splitting services are also available from The Foam Factory to halve the polyethylene tubes, doubling the amount of bumper material available for use. This provides an easy-to-mount flat surface, with a rounded, impact absorbing bumper service. These half-cylinder foam bumpers can also be glued to a dock with waterproof adhesive or bolted directly into the dock, by trimming out a recess to house the washer and bolt within the foam form, protecting the boat. 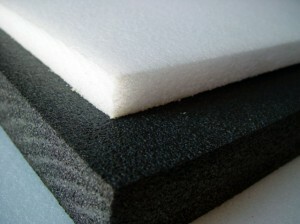 Standard polyethylene is also impervious to mold, mildew and bacteria like cross-linked polyethylene foam. Using versatile and customizable foam can produce large savings over molded or pre-formed products that have high prices to accompany their specialized purpose as dock bumper pads. Cutting and installing materials yourself will save you money and adding waterproof covering materials to the bumpers is another investment that can extend their performance life. And of course, a padded dock versus an unprotected dock can make the difference between sliding gently into your slip and a $3,000 repair bill. Minor preparation and care can go a long way in getting the most out of your boat and protecting it like the investment it is. Boat ownership will always be a costly burden on those who love the water, but it is possible to minimize that cost. Protecting your dock with The Foam Factory marine foam dock fenders is one cost-effective method to guard your boat from damage and allow you to get a little more enjoyment out of it. Please contact us by email to request samples. Thanks! wanted to see if you thought one of your cylinders would work to float in water and give pontoon boot a cushion to bump up against when docking. Yes, the foam should work for that application. 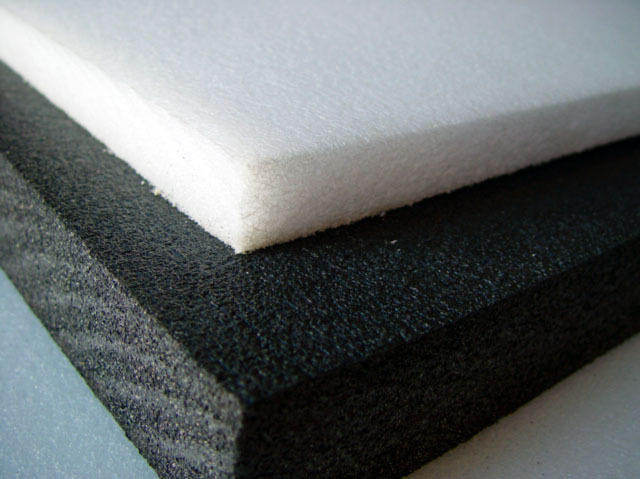 You can find pricing and order that online on our polyethylene foam page. I need large bumpers to install around the perimeter of a 24 ft pontoon. How do you recommend attaching to the aluminum side rail (aprox 3 inches wide). Boat will be used to fish around structure (bridges)at the coast. I want to keep the pontoon from bumping into the piling (made of concrete). Foam can be mounted with water resistant adhesive or zip ties. Do you have foam cylinders like “water noodles” that have a large diameter ie ~4″ OD and ~2 3/8″ ID? Closest available that we have to your request is our polyethylene tube. Go to our packaging profile foam pages and scroll to the bottom of the page for this product. I need pieces 14″ x16″ x 1.5″-2″ thick (2). These will be in an envelope cover, with a device inside that is durable and hidden. these will hang over the gunwale, lashed to a cleat, stays on board when underway/ I will have a boat cover maker make the envelopes.